While growing from saplings into mature stems, trees accelerate their growth rates in both timber volume and financial value. With time, the financial value of trees expands with growing timber maturing into new asset classes. Eventually, values are discounted to present-day value. Forestland decay becomes discernible and we explain it in terms of investor discount rate. Net present value (NPV) calculations require application of an investor appropriate discount rate, guided simply by an “impatience factor”. Understanding how a forestland owner’s “impatience factor” and inflation rate combine helps to articulate an investor’s discount rate. We need to put a number on it. To define a meaningful financial value decay rate we need to discover each investor’s financial discount rate. This decay rate guides timberland harvest rotation timing uniquely for each forestland investor. Very often, organizations attempt to assemble investors who seek competitive rates of return. This generally leads to lowering of the discount rate applied when making forest management decisions. This has also led to organizations seeking non-monetary benefits from forest management activities. It has given incentive for Conservation Easements, Carbon Sequestration Agreements, Hunting Leases, and even Municipal Watershed covenants. Discount Rates can be expressed in non-monetary terms. What about your Impatience Factor? Forest biometricians and forest economists approach growth and decay from different perspectives. Biometricians seeks understanding of the uniqueness of physical site characteristics, climate and biology, leading to factors of growth and health. Forest economists seeks net economic growth in value but must address value decay. Forestland assets are discounted through time to express NPV. Ultimately, these biometric and economic patterns must be combined into time sensitive unifications for expression of current value. This is where the discount rates are combined to make meaningful values. The monetary landscape becomes textured in terms of each forestland resource owner. Investors consider from the standpoint of a private individual, a timber management organization, or a public entity. Each approaches the discount rate question from a different perspective. 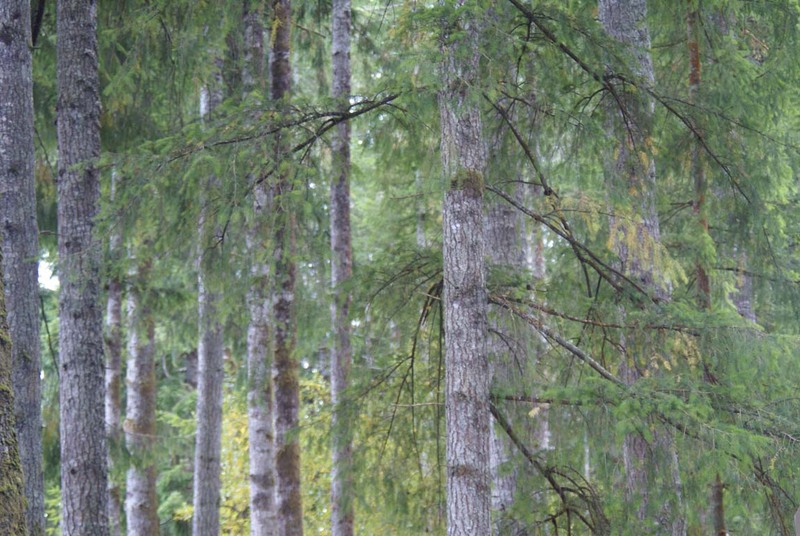 Some assert that the owner of the forestland resource is not important to tree growth. However, physical site productivity, tree growth and yield determines possibilities of management. The monetary preferences of landowners steers rates of resource value decay as it is discounted from the future to today’s value. As the biologic asset grows, merchandized tree stems can be harvested and sold as commodities. The conversion of physical assets into dollars (euros, yen, or yuan renminbi) is a challenge and involves several arrangements. Sold commodities require standing trees harvested into log commodities, delivered to buyers. Buyers may be from local lumber mills, or from nations away. Many options are available to forestland owners while the trees are still on the stump. Hold the growing logs so additional and higher valued grades increase in timber stands. Those numerous available options give opportunities for decisions to be made and different amounts of revenue to be generated. Timing is important because of the time value of money affects each landowner differently. When timber is harvested, the landscape of opportunities is reduced to one option. Trees are converted to logs, delivered to a willing buyer, and payments are received. The next forest management step is reforestation and the cycle restarts. No more “when to harvest options” are available until the next rotation nears financially optimal timber harvest timing. That will happen only after several decades have passed. Make it count. Discovery of the rate of inflation, as evidenced by the Producer Price Index, is a readily available exercise with data provided by the Bureau of Labor Statistics (BLS). They report monthly updated rates through the Federal Reserve Economic Data (FRED) portal. These provide the mechanism to put all costs and potential revenues into meaningful terms. Remember, each investor holds a unique financial discount rate, or as we call it, “Your Impatience Factor”. For our purposes, the rate of inflation can be thought of as a growth rate in the economy, and the landowner impatience rate can be thought of as a value decay factor. The process of discounting future values to current terms necessitates inflation to be erased from projected values. When future values are discounted to current terms, we use the investor’s personal impatience factor. This express the current day value by making adjustment for the time value of money. This is why forestlands can be bought and sold with both seller and buyer feeling like they made a “good deal” on the transaction. The seller might have a higher personal discount rate than the buyer does, so the seller gets more value at the time of sale than their discounted net present value indicates. On the other side, the buyer experiences a converse opportunity. This is common in competitive marketplaces. Both parties to the transaction feel like they “made bank”. Consider you “investor financial discount rate” as an impatience factor to express your rate of tolerance for receipt of delayed benefits. Some people are patient and willing to wait long periods for financial gains. In these cases, people give up current consumption in favor of future benefits. Think about investing in retirement accounts – there is a delayed benefit tolerance. Some investors tend to be rather impatient and expect high rates of return to offset their delayed benefits. An investor’s overall rate of discounting future returns to express them as current value is critical. This becomes manifested as a combined product of the rate of inflation and the investor’s personal impatience rate. This explains why the financial decay of the same asset, held by different investors, is managed in strikingly diverse ways. The question of the forest landowner’s financial impatience rate appears as a variable to be treated with utmost respect as a very unique factor to each type of owner or owner group. Decision making criteria are based on personal discount rates. Each person makes decisions based on personal preferences. Economic preferences guide our financial decisions. Investors need to know how they determine success. This recognizes if your impatience factor for monetary returns is equal to, or less than, the rate of inflation. Timber management decisions will favor long rotation lengths when the impatience factors are low. Conversely, when impatience factors are higher than the rate of inflation, timber harvest decisions will be made to favor shorter rotation lengths. This captures financially profitable timber harvest values for THAT investor. It is based on the landowner’s time value of money. Timber harvest decisions are a matter of comparative rate combinations. It is possible to find the landowner impatience factor that will realize timber harvest decisions precisely at the time of culmination of mean annual increment. However, this is not reasonable to assume the criteria would be simultaneously met on all forestland properties. That is mostly nonsense in an economically responsive world. When inflation rates are high, such as they were in the 1970s, they were accompanied by high landowner impatience factors. This rate-interaction sustained timber harvest decision criteria that were consistent with financial growth and decay considerations. Jumping ahead to the post-great recession period (2011-16), inflation rates bottomed out at below one percent. In this period, opportunity cost considerations found investors seeking favorable returns at equally low rates of expected returns. forward advanced fire-season personnel and equipment. These forestlands are harvested at the financially optimal time when tree maturity and financial returns coincide to reflect the investor’s financial impatience factor. Look at the forestland management implemented around you. Do you see other landowners harvesting trees on a rotation that is different from what you would do? The answer is obvious: a different impatience factor. Consider impatience factors as they are adopted in light of the macroeconomic measurements of inflation. It becomes important to consider the following rules. As inflation rates tend to increase and decrease, so will individual landowner rates of value decay. Decisions are guided by impatience factors. These cannot be viewed as static measurements of expectations for a rate of return. They change with the migration of macroeconomic forces. It is notable that during 2011-2016, interest rates paid by banks dropped to historically low levels. The U.S. Federal Reserve cut prime interest rates and inflation rates as measured with the PPI. They remained nearly flat for almost 7 years in the USA. Timberland investors adjust their impatience factor in respect to the inflation rate. Their reliance on the “out-of-sync” rate of decay will end as they adopt sub-optimal management decisions. When impatience rates prevail considerably higher than the inflation rate, timber harvest will be set to favor short rotation cycles. Conversely, consider landowner impatience rate being lower than the absolute value of the rate of inflation. The low rate of monetary decay, viewed in relation to inflation, results in longer timber harvest rotation cycles.